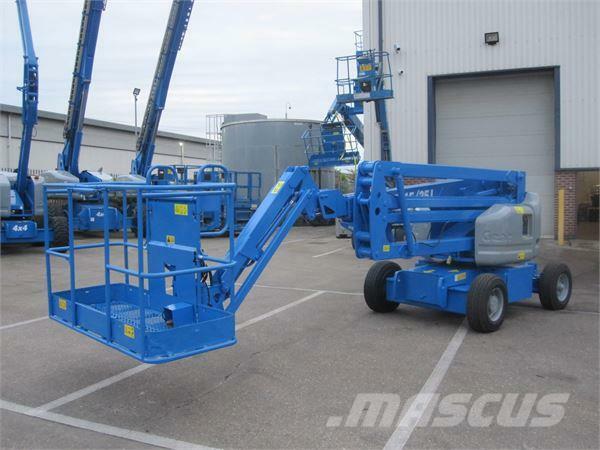 This used Genie Z45 Bi-energy WP6705 is from 2007, with 592 hours on the clock. Standard features include 1.52m jib boom, AC power to the platform, zero-tail-swing, proportional joystick controls, tilt alarm and travel alarms. Ideal machine for warehouses, manufacturing plants and general maintenance work. This model has been fully re-sprayed and will be supplied with a 6-month warranty and 6-month LOLER certificate. A full service will be carried out prior to delivery.